Gluten is a protein complex found in some cereals such as wheat, rye, barley, oats, spelled, spelled, kamut and triticale. The prolaminate is one of the protein fractions of which gluten is constituted and responsible for the toxic effect at the base of celiac disease, a disease that triggers in the subject who is affected by an autoimmune response that damages the intestinal mucosa and compromises the intake of other nutrients. It is naturally present in different types of cereals but is used in the food industries as a binder to keep the ingredients together, for example in chocolate, condiments and ready meals. 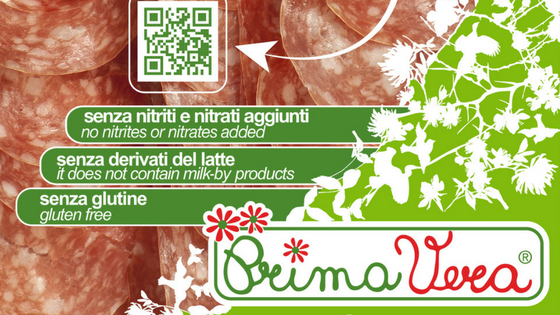 According to the Italian Celiac Association, some salami and sausages could contain gluten or be at risk of contamination. This does not happen in salumificio pedrazzoli, for several years now we are producing only gluten-free salami, some of which are registered in the gluten-free food handbook or with a lower risk of contamination drawn up by Aic, an instrument published annually and which allows you to keep up-to-date those who are suffering from celiac disease and operators in the catering sector. The suitability of the products present in the handbook is verified by checking the specific documentation presented by the companies. As for our work, all the spices and aromas we use have the declaration of gluten-free by the suppliers, also analyzes are carried out in the business plan to verify the actual absence of gluten in our cured meats. In 2017, Aic signals the growth of consumers who prefer to follow a gluten-free diet without a justified medical prescription. In recent years, gluten-free has become an indicator of healthy foods but a completely gluten-free diet could have negative effects on those who do not suffer from celiac disease. In fact, if protracted over time, a gluten-free diet could increase the risk of cardiovascular diseases, metabolic syndrome and osteoporosis. Who is forced to eliminate gluten from their table must in fact pay particular attention to the nutritional intake and must be monitored periodically by a professional who offers valid indications to appropriate alternatives.